We offer a wide range of hotels near Utah Jazz from cheap accommodation to up market luxury hotels. Search our database of hotels to find the lowest rate for your stay closest to Vivint Smart Home Arena. 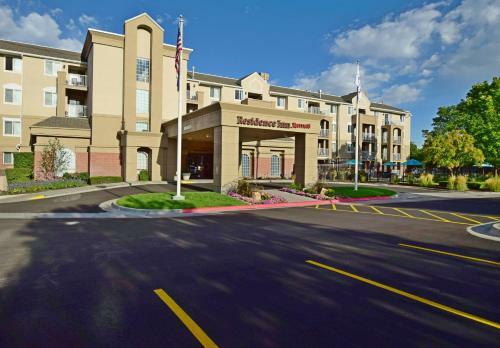 Located 700 metres from The Tabernacle, Radisson Hotel Downtown Salt Lake City features a hot tub and sauna. The hotel also has a fitness centre and ski storage space, and guests can enjoy a meal at the restaurant or a drink at the bar. 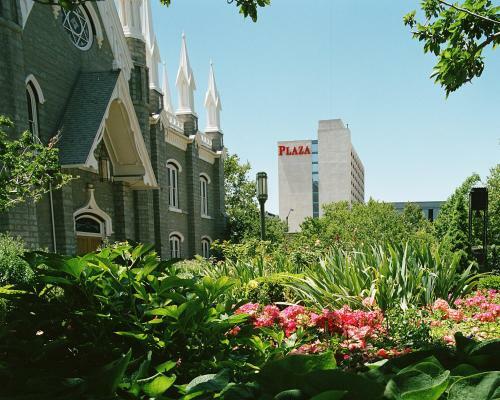 This hotel is located in Salt Lake City, across the street from the Holy Trinity Cathedral. It has an outdoor pool, and offers spacious suites with fully-equipped kitchens. Across the street from the Salt Palace Convention Center, this Salt Lake City hotel is one-half mile from historic Temple Square. The hotel offers an indoor/outdoor pool and a restaurant. Centrally located in Salt Lake City's city theatre district, this beautiful boutique hotel features 2 restaurants on site. Spacious rooms include white linens, wood furniture and an iPod dock. City Creek Center is 10 minutes' walk from the hotel.